If there was one thing I could have wished for on this trip, but which was never remotely likely to happen, it was this. Sat waiting for my flight at Thandwe airport, there were considerable numbers of photographers waiting. I should have guessed something was up from the sheer number of National League for Democracy supporters waiting outside, but perhaps a part of me didn’t think it possible. 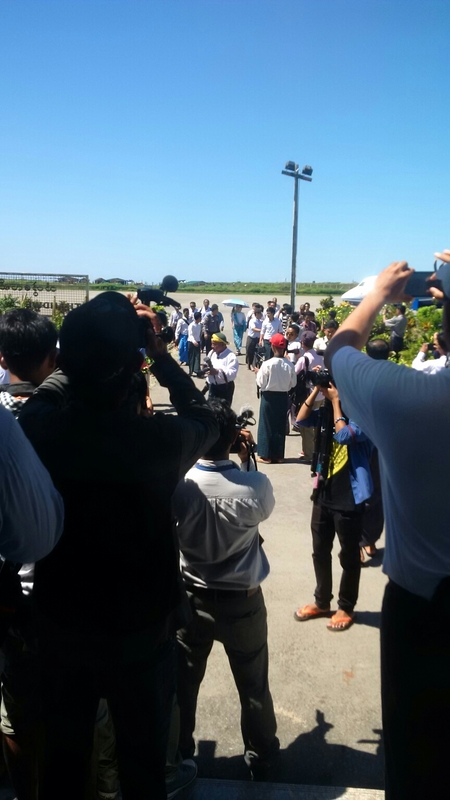 But sure enough, walking across the tarmac to the terminal was Aung San Suu Kyi. What an honour. How to top off a trip in a way totally unexpected. The roar from outside as she exited the terminal was something else. Hope is a wonderful thing. And I share it. Check in: what are people doing?